The profession of a journalist is often a dangerous, and difficult, and that is what is celebrated in a variety of artistic works, including dozens (or even hundreds?) films of different genre. Today we decided to do a compilation, perhaps the best in our opinion retro movies about journalists, were not only the classic movies 50’s and 60’s, but quite new movies in a retro style. I bet you haven’t seen everything? Hard satire on TV from screenwriter paddy Chayefsky and Director Sidney Lumet. The leading news channel UBS Howard Beale during a live broadcast had a nervous breakdown — he admitted that he wants to quit the show due to low ratings and to commit suicide. However, this case raised the ratings of the channel, forcing Beale to return to work. The story is about an American boy-a teenager who accidentally started writing for the famous music magazine Rolling Stone. Boy gets to tour one of the famous rock bands and immersed in a world of drunken parties, girls, groupies, squabbles between the band members and, of course, music. At the same time, his editor at Rolling Stone and is the author of notes — not even graduated from high school boy. The famous story about the writer Truman Capote who is adventurous venture — to explore the psychology of serial killer for his new book. After he came across a newspaper article about what happened on bloody murder at the farm all of his creative aspirations was aimed at acquaintance with the offender. To say that his prison visits did not understand anybody around — not to say anything. Ed Hutchinson is the editor of the American newspaper “Day”. Principled, uncomfortable and uncooperative. After the death of the old owner of the newspaper “day”, the heirs decide to sell the newspaper to competitors. However, Hutchinson does not lose time in vain — for three issues until the closure of the newspaper editor embarks on a risky investigation against the famous city gangster, which newspaper recently severely beaten. Screwball Comedy with Cary Grant and Rosalind Russell. The hero of Grant’s Walter burns — editor in chief Newspapers. It has an ex-wife and part-time journalist of the edition — Hildy Jackson, in which Bern is still secretly in love with. Everything changes when Hilda decides to quit work in the editorial for the upcoming engagement. Then Bern gives her last assignment — to interview a condemned criminal. Based on real events in history performed by Oscar-winning Director Ron Howard. After the Watergate scandal, U.S. President Richard Nixon was forced to resign, without being brought to justice. However, three years later, an ambitious journalist David frost decides to ask Nixon a few worried his questions, putting on the map everything. A wonderful film Noir about journalism with kirk Douglas in the title role. In the end, once a successful journalist Charles Tatum, who was forced to leave his post at the prestigious new York newspaper because of drunkenness. Settling in a remote province, he hopes for a fresh start in the courier, but for a long time and can’t find a decent theme. But Fluke pushes his story, of which Tatum is trying to teach how a real sensation. Comedy about an ambitious reporter Aaron Almana and his blunt but charismatic host Volume Haneke. The rivalry between the two journalists is not without its romantic story featuring a very cute and ambitious Executive producer Jane. The film tells true story John reed, radical American journalist during the First world war. He meets a married woman, Louise Bryant, who leaves her husband for him. After the political controversy in the United States, they go to Russia, at a time when there is the October revolution of 1917. They are inspired by the determination of Communists and returning to the States, hoping to have the same revolution. Jeffrey Wigand dismissed from the post of Vice-President of a major tobacco company for what he is protesting against the use of tobacco products component that causes smokers addicted to the narcotics. Lowell Bergman, producer of the popular TV show, learns of this and convinces Wigand to deliver revelatory interviews on TV. Wigand agrees, than got himself in a heap of trouble. Journalistic detective from Director Orson Welles. 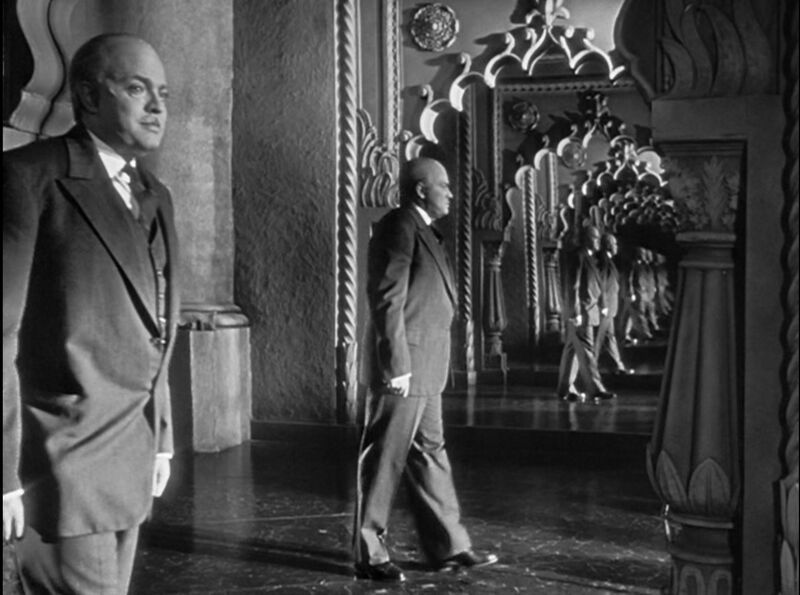 In a luxurious manor dying newspaper magnate Charles foster Kane, dropping only one word: “Rosebud”. The death of Kane caused stormy reaction in society, and a group of journalists taken to see who he was really what he had experienced during his long, full of UPS and downs of life… And what does “Rosebud”?